One of the biggest tax reform in the history of India has hailed Goods and Service Tax, commonly referred to as GST in India. Levied on both goods and services, the tax has replaced many indirect taxes that were imposed by the Center and the State government. 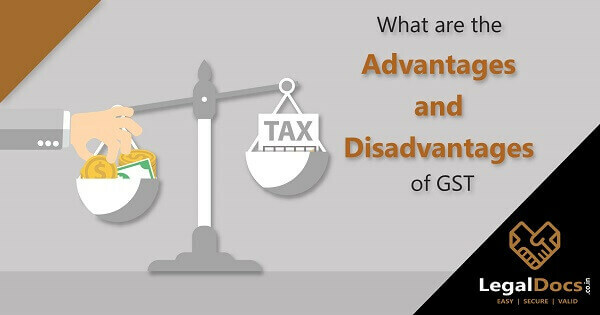 Any tax regime is bound to have its advantages and disadvantages, and so GST has. Here is a list of few. Eliminates the cascading tax effect: GST is comprehensive in nature that is designed to eliminate the cascading effect. The cascading effect means the tax on a tax system that pre-existed where the tax liability was passed on at every stage of the transaction. As a result, the value (price) of the item increased. GST removes this cascading effect as the effect of the tax directly lies on the cost of goods and services. The burden of a tax is shifted near the consumer and benefits the industry through better cash flows and working capital management. Input tax credit: At the time of paying tax on output, the manufacturers or service providers can reduce their tax payable by the amount of tax they have already paid on inputs. The average burden of taxes for the manufacturers or service providers is likely to come down. Thus, lower price that would inculcate more consumption. Transparency: GST is a transparent tax system where registered retailers will not have a cost and hidden taxes. The cost of doing business would be lower. Tax evasion: The input credit is available to the recipient i.e. the manufacturers or service providers only if the details are provided by the supplier in its return. It encourages the suppliers of goods and services and thus helps to check evasion of taxes. Higher threshold for registration: Earlier tax regimes required businesses over a turnover of more than 5 lakh rupees liable to pay VAT. The limit was different in different states. However, the threshold has been increased to 20 lakh rupees in GST regime. This means small traders and service providers are exempted. Composition schemes for small businesses: The tax and compliance burden on many small businesses have been reduced. Further, small businesses i.e. those businesses with a turnover of 20 to 75 lakh rupees can benefit from the option of utilizing composition schemes. The number of compliances: Earlier, as many taxes were levied, each had its own returns and compliances. For instance, excise, returns had to be filled monthly, service tax; quarterly or monthly, and VAT differed along states. However, after GST is imposed, there are lesser compliances. Just one unified return has to file. There are 11 returns under GST. Improved efficiency of logistics: Restrictions on inter-state movement of goods have been lessened with the imposition of â€œone nation, one taxâ€. Earlier, multiple warehouses had to be maintained in order to avoid the current GST and state entry taxes. Thus, increasing the operational cost. As an outcome of GST, warehouse operators are setting up units at strategic locations, instead of every other city. Defined treatment for e-commerce operators: Before the implementation of GST, the e-commerce sector did not define the supply of goods. Some states would treat these as facilitators or mediators which do not require them to register for VAT. All these differential treatments have been removed under GST. The inter state movement of goods is confusion free now. Regulation of unorganized sector: Earlier construction and textile industry were largely unregulated and unorganized. Under GST, there are provisions for online compliances and payments. Thus, bringing in the accountability and regulation to these industries. Being GST-compliant: Small and medium enterprises have been away from the tax regime. They must quickly grasp the nuances of this tax regime, they will have to issue GST compliant invoices. Short term business challenges: The transition to GST can interrupt the working capital of the business in the initial phase due to the input credit lock-up. Increased operational cost: The businesses will have to train employees for being GST compliant, thus, increasing the overhead expenses. The alternative option available is to hire tax professionals who are equipped to handle the changes. Online taxation system: Unlike earlier tax regime, most invoicing was done through pen and paper. It might be difficult for smaller businesses to adopt this technologically riden change. Businesses need to upload their invoices and return forms. Multiple registrations: In case of Pan-India organizations with branches in more than one state in the country, it is extremely difficult to comply. In contrary to the usual belief, there is no single compliance for the same. One will have to register with every state and follow the procedures for compliance. Indigenous Manufacturing: In contrary to the Make in India initiative, it will hit manufacturing sector as the tax exemption has been reduced from 1.5 crores to 20 lakh rupees of turnover for excise duty. Revenue distribution: Sharing of revenue for goods and services listed in the concurrent list is a point of contention. 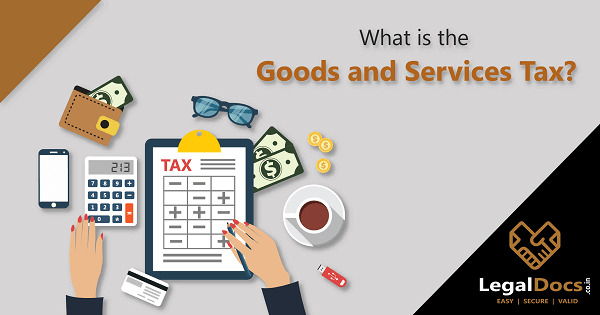 Various GSTâ€™s: The idea of one nation, one tax is somewhere hindered due to the compliance mechanism of GST which involves Centre GST, State GST, and Integrated GST. Effect on discount and reward program: GST has an impact on discount and reward programs such that the goods are being taxed on the rates pre-discount. In contrast to this, earlier goods were taxed post discounted prices. Complexities for the businessman: The GST Act has given the control of businesses to central and state government. Thereby, binding the businessman bylaws. This has raised the complexity for many businessmen across the nation. The only constant thing in the universe is change. Changes are never easy. While the government is trying its best to smoothen the road to this change in tax regime, it is equally important for all the stakeholders to experience the advantages of a unified tax system. The process would though require teething troubles. This is the key to be GST compliant at any time. Are you looking for GST Registration in India? Legaldocs will guide you in getting all necessary Documents and Registration required to get GST Registration in India, Please click on the following link to connect with our consultants. 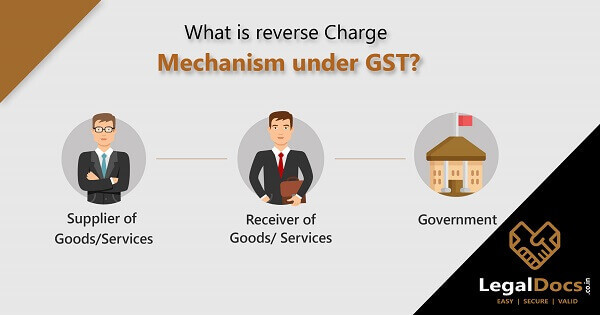 GST Reverse Charge : What is Reverse Charge Mechanism Under GST? very Nice Information, Do you provide GST Filing Services?